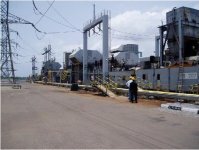 The Egbin Power Plant with an installed capacity of 1320MW is the biggest power plant in Sub-Sahara Africa and has been the main stay of power generation in Nigeria supplying on average 40% of the countries power generation capacity. APTEC was contracted by a syndicateof domestic and international banks reviewing a financial proposal from a company bidding to acquire one of the successor generation companies of the Power Holding Company of Nigeria (PHCN). The syndicate required the services of an engineering firm to undertake an independent assessment of the power plant to complete the banks Due Diligence requirements. APTEC was contracted to conduct a technical and commercial audit of the power plant and facilities.